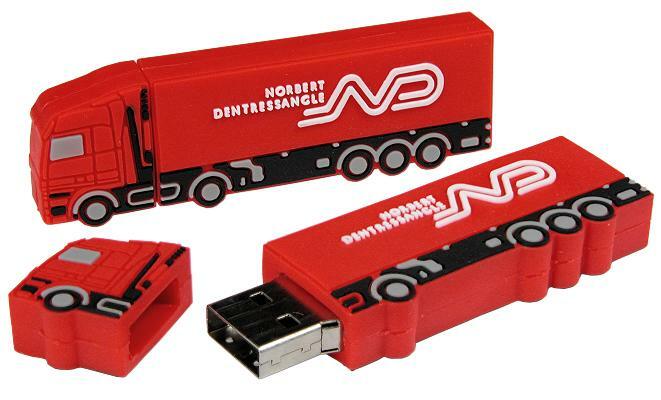 Bespoke USB sticks, the lorry cab slides off to reveal the USB connector. 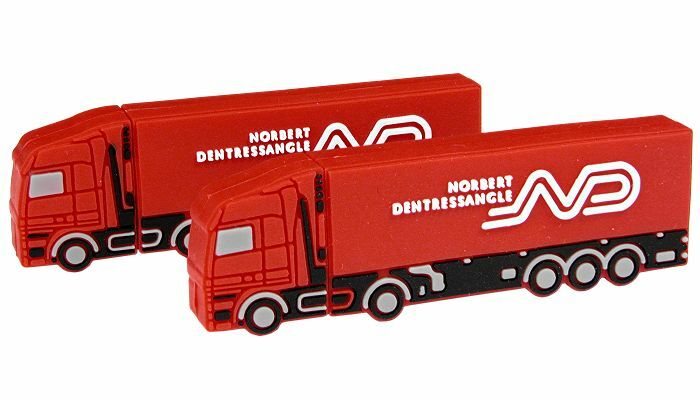 This is what we call a 2 Dimensional bespoke USB stick and this Nortbert Dentressangle lorry should be easily recognised throughout the UK and of course France. You could have your own design, any shape or colour. 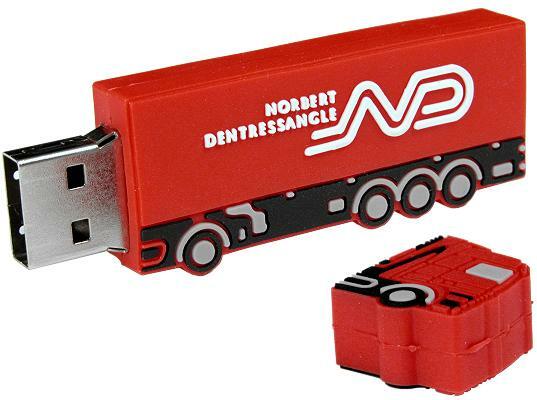 It is made up of two pieces moulded together with the USB storage device in between. Your words and emblem are moulded in relief to give a 3D feel. 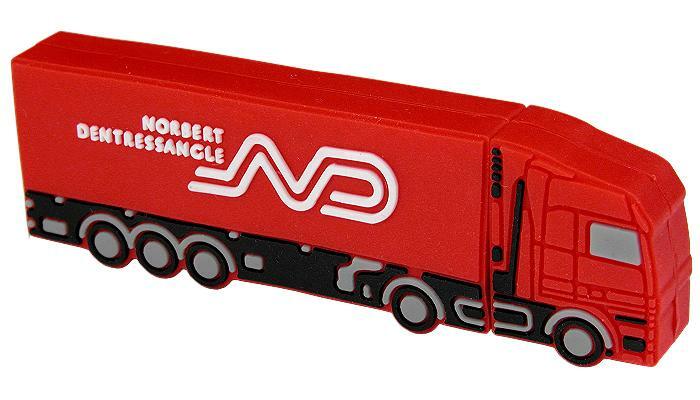 Send us details of your own product so our factories can cheaply produce your own unique design of USB stick.